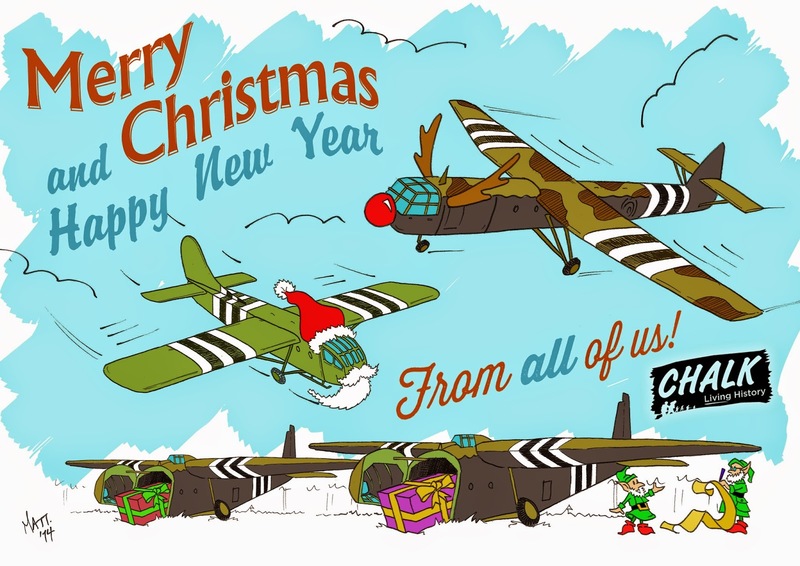 Chalk Living History - the Glider Pilot Regiment: Merry Christmas to you all! CHALK are a small World War 2 living history group based in the North of England. Our primary portrayal is the Glider Pilot Regiment 1942-45. CHALK are a small World War 2 living history group based in the North of England. Our members are made up of experienced living historians and seasoned reenactors. Our primary portrayal is the Glider Pilot Regiment 1942-45 we are one of the few groups in the UK who's only role is that of the Glider Pilot Regiment. Chalk are also members of the 'Society of Friends of the Airborne Museum Hartenstein' and 'Friends of the Eagle'. Matt Yates is an Associate Member of the Glider Pilot Regimental Association. Recreating the Glider Pilot Regiment of the Second World War 1939 - 1945.